The Indian Institute of Technology Delhi (IITD) and the International Committee of the Red Cross (ICRC) launched the ‘Humanitarian Policy and Technology Platform’ in New Delhi. The Platform aims to generate and facilitate research and discussions on the new technologies for humanitarian action and the compliance of new technologies of warfare with International Humanitarian Law (IHL). It addresses two key areas of the interface between technology and humanity: application of innovative technologies to improve the quality of humanitarian action; and the implication of new technologies of warfare for IHL. 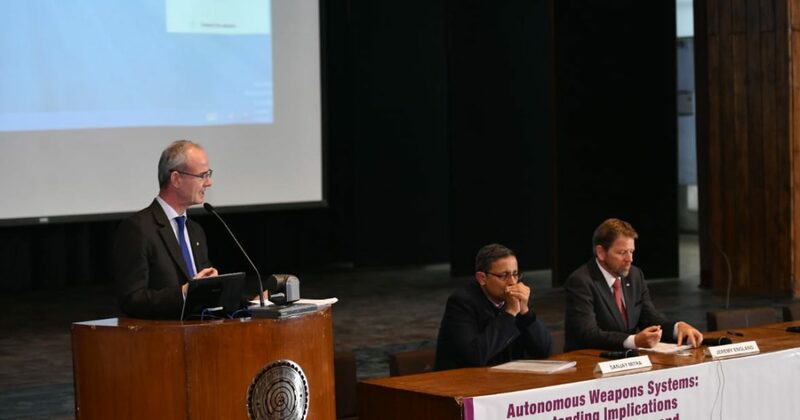 A panel discussion on legal, technical and policy perspectives of artificial intelligence, autonomous weapons and armed conflict was organised as part of the event. Experts spoke about developments in the field of humanitarian technology that have enhanced the quality of humanitarian action in times of disasters and armed conflict, as well as implications of new technologies of warfare for IHL. Personnel from India’s Ministry of Defence and Ministry of External Affairs; Center for International Law, Ministry of Foreign Affairs, South Korea; UN Institute for Disarmament Research, Geneva; University of Tokyo; ICRC Geneva; IIT Delhi; Yale University and Institute of Defense Studies and Analyses participated in the discussions. About IIT Delhi: The IIT Delhi is a renowned institution of excellence in science and engineering with multidisciplinary technical and academic expertise, and, with the establishment of a School of Public Policy, an engagement with issues on technology and policy. About the ICRC: The ICRC is an independent and non-political organisation with a large scope of strictly humanitarian activities which it undertakes through its presence in over 80 countries around the world. It has a universally recognised responsibility to promote IHL and to respond to the needs of people affected by situations of humanitarian concern, in particular armed conflict and violence.